This episode focuses on the magnificent Mo-gao caves at Dun-huang in the Gobi desert. In this complex, there are 500 caves and over 3,000 statues and murals. It is counted as the longest art gallery in the world. This episode sees the expedition crossing first the Yellow River, with its goat-skin rafts and giant waterwheels, and entering the Gobi desert along the He-xi corridor, where it visits some of the main citadels along the route. The first episode in the series focuses on Chang-an, which in modern-day China is called Xi-an. 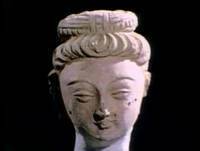 It was formerly the capital of China and the source of the Silk Road which ran from there to Rome. In ancient times it was the largest city in the world. Tomorrow I start posting the 12-part Silk Road series. I found this series about 2 years ago, and have watched it all the way through three times by now, and individual episodes at other times. 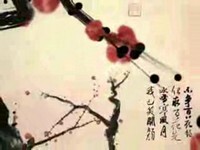 Here is an animated video in the sumi-e style of painting. The film is inspired by Toaist thought and includes drawing of the Yin and Yang symbols as well as the I-ching. An unforgettable journey into the hidden lives of China’s forgotten Zen Buddhist hermit tradition in the Zhongnan Mountains. This is a wonderful evocation of the spirit of the Bodhisattva Avalokiteshwara! The performers are from the China Disabled Peoples Performance Art Troupe in Hubei, and all of the dancers are deaf and mute.